1} Dream BIG: Our Dreams are what give us hope. They make us work towards them. They nudge us positively. Dream Big Big dreams. Visualize YOU already having attained your dream right now. IN this moment KNOW that YOU are awesome. Hold that feeling and then go about your day. You will notice the skip in your step, the boost in your thoughts and the overflowing passion in your heart. You will be extraordinary everyday. 2} Plan SMALL: Paradox to dream big hmm…not really. Every extraordinary Dream requires a plan. Just not those huge elaborate ones. Work in small Baby Steps. Make your plan just for today. Ask yourself- “Right now in this moment, what do I need to do to attain my Big Dream?” The answer is what will be your step by step plan. Every-time you are stuck do this. Ask yourself. You KNOW exactly what you have to do to be Extraordinary…just ask yourself. 3} Be YOU: In the need to be Extraordinary, to be great we start emulating people who already are. In doing so sometimes we forget or sideline our true selves. When really the “extraordinary” part of YOU is in being authentically YOU. Learn from great people, but Be only YOU. Cause you are unique and what you bring to this world, no-one else can. 4} Simplify EVERYTHING: When you simplify your life and yourself, you leave very little room for confusion or clutter… be it physical or emotional. Ridding yourself of negative pressures of the outside world, works very well in bringing out your Extraordinary side. You will not be afraid to try something new. You will not second guess yourself. You will Believe in YOU completely. 5} Smile WIDE: Ever noticed how your heart always is attracted to another person who is smiling? The reason for this attraction is the fact that happiness attracts happiness. You Will smile back even if you are in the grumpiest mood, when someone genuinely flashes you a smile. Be the initiator of that magnetic Smile, for it creates a chain of extraordinary happiness. Even in your small way, you are becoming the initiator of happiness…and that is extraordinary and so very simple. What are your thoughts on this article? Do you have any ways to bring out that Extraordinary side? What is Your Extraordinary power? Share your beautiful thoughts in the comments below. Thank you SO much for reading! If you’re new, please subscribe for free updates by email. Awesome post Zeenat! I agree with everything. These are all very simple, and seemingly ordinary things to do, but they truly do lead to extraordinary outcomes when done consistently. One just has to look at any successful person closely to realise that those 5 power-packed ways are legitimate. Thank you for sharing your wonderful thoughts here. 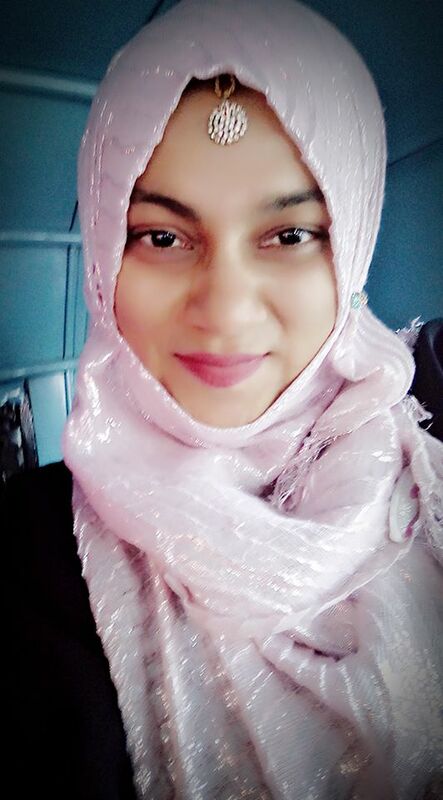 I love the idea of wearing a smile, Zeenat. (Of course, the other ideas are wonderful, too!) But, when we radiate happiness, we not only give it to others, but to ourselves as well. Happiness and gratitude are the gifts which keep on giving! And your spirit wears that smile so well. Thank you for your smiling comment here. Absolutely Zeenat, All five perfect and we do need reminding form time to time! Thank you for this excellent post! So glad you liked my positive reminders 🙂 Thank you for stopping by and sharing your gorgeous energy here. I completely agree with you Zeenat, the extraordinary powers lie within us, we only have to unleash those powers…self-belief can do wonders along with a little ‘planning’, as you have rightly pointed out. Thanks for another inspiring post! By the way we should both really consider taking over the Universe and be Magical love giving fairies. No hate resides in a world taken over by love..right?! I this those mis-steps are what keep the whole getting to the BIG dream interesting and fun. To mis-steps and slides that spiral us only UP! Thank you for stopping by and for sharing your AMAZingggg energy here. 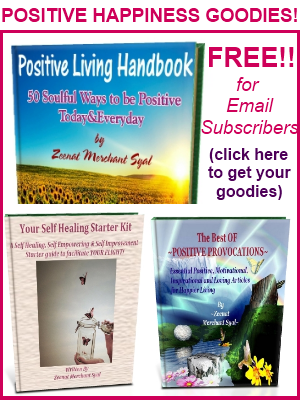 Your posts are always very meaningful to me and uplifting – thank you Zeenat! I’m so happy that you are finding positive meaning in the posts here. Thank you for stopping by and sharing your lovely energy here. Ohhh loving your suggestions here Zeenat! Thanks so much!! My pleasure love. Thank you for stopping by.